Group News Blog: Developing Story; Worst President Ever-- more news at 11. 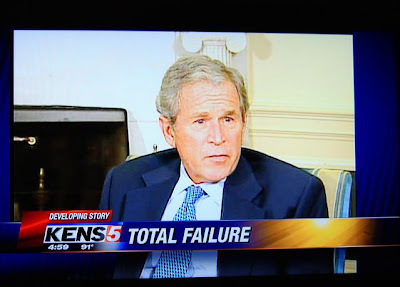 Developing Story; Worst President Ever-- more news at 11. FAIL blog, no caption necessary! There I was, watching the CBS evening news and this came on the tv...had to stop the DVR and run and get the camera....this is something that I needed to be able to keep forever. I saw it on the TV, must be true.